When it comes to the Sustainable Development Goals (SDGs) the message from civil society in British Columbia is clear – “We’re already doing it”. From this perspective, the question is not how to move from policy to implementation but how Agenda 2030 can support existing action and leadership on the SDGs. Following the launch of the SDGs in 2015, the British Columbia Council for International Cooperation (BCCIC) held 31 community roundtables with over 500 civil society groups throughout British Columbia, Canada, to find out whether the Goals resonate with civil society organizations (CSOs). The answer was a resounding ‘yes’. While almost no one had heard of Agenda 2030 beforehand, groups clearly saw their work reflected in the Goals. Once introduced to the SDGs, roundtable participants quickly identified which Goals they were working on as well as other groups in their community who were advancing Agenda 2030. This should come as no surprise. The actions that the SDGs call for have been worked on for decades. What is surprising is the size of this movement. In community after community participants identified organizations addressing each and every one of the SDGs. One participant likened it to discovering an ‘invisible mosaic’ of individuals and organizations already advancing the agenda but whose efforts remain largely unseen to the public, politicians and even themselves. To reveal this mosaic, BCCIC has mapped over 2100 CSOs in British Columbia alone and this invisible mosaic undoubtedly extends across Canada and the world accounting for hundreds of thousands of organizations. The message of this invisible mosaic is an inspiring one – we are already working on the SDGs, we do not have to start from scratch, and we can focus on supporting and amplifying the impact of those who are already taking action. Instead of how to move from policy to action, the invisible mosaic raises the question of whether Agenda 2030 can any provide opportunities for expanding and accelerating the mosaic’s impact? The answer was once again a resounding ‘yes’. Roundtable participants identified three key opportunities that the SDG framework provides in the form of awareness raising, collaboration, and political engagement. Firstly, the SDG framework provides a lens that brings the invisible mosaic into focus. 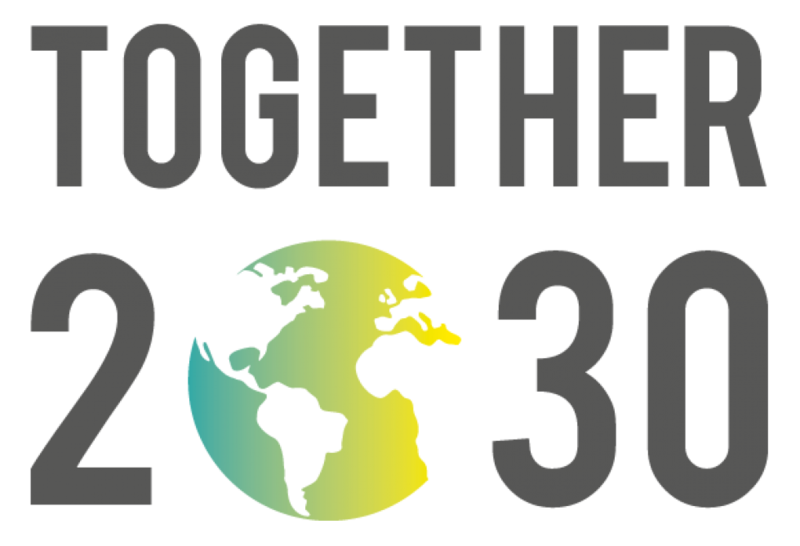 Agenda 2030 raises awareness of, and support for, the groups working on the Goals; not as a collection of competing causes but as essential and equally important elements of the world’s sustainable development agenda. In order to take advantage of this opportunity, government and other sectors need to invest in large scale media and public engagement campaigns that publicize the SDGs and help people connect with the groups working on them in order to support and amplify action. Secondly, the SDG framework provides a tool for strengthening collaboration. In every community, participants identified challenges to civil society and cross-sector collaboration which led to unnecessary competition, duplication of efforts, and missed opportunities. As a coordinating framework, the integrated and inclusive nature of the SDGs presents an opportunity to link existing efforts and build collaborative action among key stakeholders including government, the private sector, civil society, academia, faith-based groups and Indigenous Peoples. The SDGs provide a ‘common language’ that facilitates communication across these groups and their various sectors and silos. Recommendations from these roundtables included cross-sector dialogues and networking events grounded in the SDGs as well as online hubs and platforms to facilitate collaborative action across the Goals. Finally, the SDG framework was seen as an opportunity for political engagement. The fact that Canada’s federal government has signed onto the SDGs was seen as an opportunity to reach out to politicians and build the political support and partnerships needed to amplify action. At the local level, many city councilors and mayors who attended the roundtables saw opportunities to align their community plans with the Goals and partner with civil society groups in achieving them. In order to take advantage of these opportunities, roundtable participants stressed the importance of integrating the SDGs into political discourse and educating politicians on the Goals. BCCIC has since worked to leverage these opportunities and amplify civil society action on the SDGs. In October 2017, BCCIC launched the online ‘Movement Map’ which raises awareness of the groups comprising the invisible mosaic and provides a tool for collaboration as groups can search for organizations working on the same goals and in the same places as themselves. The plan is to now map all groups working on the SDGs across Canada and beyond. Building on the opportunity for political engagement, BCCIC also launched the BC2030 campaign during the 2016 provincial elections. BC2030 asked political candidates how BC will show leadership on Agenda 2030 and produced an election tool kit for voters to engage with the SDGs, a website that outlined SDG progress in different constituencies, and held four SDG focused election candidates’ forums. The invisible mosaic of groups advancing the SDGs is inspiring and the SDG framework provides key opportunities for amplifying their action and impact. By leveraging the framework’s potential for awareness raising, collaboration and political engagement this movement can bring forth the world that Agenda 2030 envisions. About the author: Dan Harris is the Program Officer with the BC Council for International Cooperation. A New Zealander with over 10 years’ experience in the field of international community development, Dan has worked throughout Latin America and the United States including with local NGOs in El Salvador, Colombia, Ecuador and Peru. Dan’s background is participatory approaches to community engagement and change leadership and he has applied these skills in projects ranging from climate change adaption and water management to community conservation and sustainable agriculture. With a Masters in Development Studies, Dan’s current focus is the role of networks and networked collaboration for achieving the UN Sustainable Development Goals.